If you're interested in the cost of living in Bali, you'll probably also be interested in my book, The Ultimate Guide for Moving to Bali. In the book, I walk you through all the steps necessary to start planning out your new life in Bali, so you can hit the ground running without any hassles. Check it out if you're considering a move to Bali in your future. Bali has always been known as a budget destination, especially if you’re coming from a country like Australia, America, Canada or England. These days, it’s still a budget-friendly destination, although it can be very easy to spend a lot of money if you’re not careful. 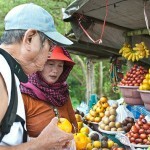 It’s just as easy to come to Bali and live cheaply, as it is to come to Bali and spend more money than you do back home. ...is that you have options at every budget imaginable. All different types of people are moving to Bali, and there’s no right or wrong way to do so. With options to suit every type of budget, you’ll be spoiled for choice in all facets of life, no matter how many zeros are at the end of the number in your bank statement. In a bit, I’ll be going over the prices of many common things individually, but first, let’s take a look at what a typical lifestyle looks like at a few different budget levels. Yes, it’s totally possible to live in Bali for $500 a month, although it will take a little bit of effort as a westerner. A more reasonable and comfortable level will be around the $800-1,000 a month mark, but it’s definitely possible to do it cheaper. After arriving and staying in a hotel for a few days, you’ll be looking to stay in an Indonesian style “kos” or “kost”. This is basically a studio apartment, not very spacious, but with everything you need inside. All but the cheapest ones will have a private bathroom, and some will come with a bed and some furniture included. More expensive rooms will even include a kitchen, so you can cook at home, although eating Indonesian food is almost cheaper than cooking at home. When trying to find accommodation like this, look for signs that say “Terima Kos”, which indicates they have empty rooms for rent. A kos suitable for a westerner will start around $100 a month up to as much as $400 a month for a nicer kos in a desirable area. For food, you should learn to like rice, because you’ll be eating it quite often with Indonesian dishes. At this budget, you’ll be able to afford a few meals a week at some western places on the cheaper side, but you’ll definitely be able to stretch your budget farther by eating at local warungs. If you’re into cooking for yourself, skip the supermarkets and head to the local markets (pasar), for fruit, meat, vegetables and tempe at a fraction of the price. Your internet options will be fairly limited, but you can still get online. If you have a smartphone already, you can connect your laptop to your phone’s 3G connection for light browsing, email and maybe even some youtube videos and Skype calls if you get a good signal in your area. If you don’t have a smartphone, you can get a USB modem for about $30 to provide you with internet access via 3G. This should cost you only about $10 a month. If I had to guess, I would say a large percentage of expats in Bali fall into this middle category. This level of budget can afford you a very comfortable lifestyle in Bali, although still not enough to forget about your budget completely and spend without thinking. Your accommodation options will be much more plentiful, and you can afford to live in your own house for this price. Most houses will be rented out by the year, and are in the range of $2,000 - 6,000 per year, but that’s still quite cheap when broken up by the month. You can also find rooms in luxurious villas for rent for around $500-600 per month including electricity and internet, if you’re the type that doesn’t mind having roommates. You’ll also be able to eat most of your meals out if you wish, without having to “go local” all the time. You should definitely still get a taste for the local cuisine a few times a week, no matter what your budget is, but with this level of budget you won’t be as limited. For around $20 per day, you can eat three great meals at your favorite restaurants and always be able to try something new. If you like to cook at home, then you can still save money by shopping at the local markets while practicing your Bahasa Indonesia, but you’ll be able to afford some imported ingredients too. Your entertainment options will be more plentiful as well, and you’ll be able to afford going out most nights of the week. You probably won’t be able to afford the swankier places in town, but you can frequent your local watering hole often enough without breaking the bank. You’ll also be well within your budget to take day trips or overnight trips around Bali to explore the rest of the island. For internet, you might do just fine using 3G at home, but if you use the internet a lot, you could definitely afford to install something faster and more stable. Installing an internet connection in your home costs about $150 to install (depending on the provider) and about $100 per month after that. Some people might be asking why it’s necessary to spend over $2,000 per month in Bali, when the locals can do it for so much less. For those with the money to burn though, Bali is still an excellent value for the money, and you can truly live the high life here, at a fraction of the cost of the high life back home. At this budget, you’ll probably be living in a villa, or a very nice house or serviced apartment. A nice apartment would start at around $600 at minimum, and most villas are yearly rentals, starting at around $12,000 per year for a villa with a private pool. It is still possible to find a villa for rent monthly, but usually the prices will be a minimum of about $1,200 per month, and renting yearly is a much better deal. At this type of budget, you can eat pretty much anywhere you want at any time. If you want, you could even afford to hire someone to cook your meals and do the dishes for you afterwards. That person could also handle your grocery shopping for you, either in the supermarket or the local market, whichever you prefer. When going out at night, you can afford the to go the types of places the island’s elite like to hang out at, and not worry about how much the bill will be when it comes. Dinner and drinks at The W Hotel or a trip up to Ubud to eat at Mosaic will still be a couple hundred bucks, but are easily worth twice that for a similar experience back home. For internet, you can take advantage of any of the options above, and could even go as far as to install a fiber optic line in your home. There are many providers around the island to give you any type of speed you want, as long as you can pay for it. A fiber optic package starts at $150 per month, but if you have a need for speed, you could spend as much as $1,000 per month just on internet for a connection suitable for a corporate office. As you can see, you can live (not just survive) in Bali no matter what your budget is like. There is one big thing that determines your ability to live cheaply though: your adaptability. If you can learn to do a few things “the local way”, it can save you a whole lot of money. Simple things like buying your groceries at the local market compared to the supermarket can cut your food bill in half. On the flip side, the best way to make your budget go through the roof, is by trying to replicate your life back home while in Bali. Eating all the same things, going to the same types of places and doing the same things as you would back home, can be even more expensive than in your home country. That’s OK, though, because you’re here in Bali, and there’s so many unique experiences to be had, that you should make a point to get out there and experience them. Keeping your budget down in the process is just a fringe benefit. I’ve updated the list from a few years ago, and many of you will notice that prices have gone way up. 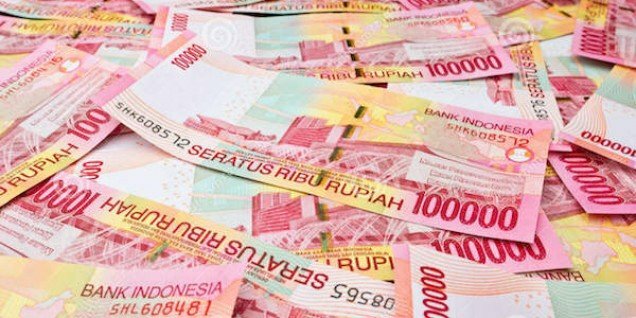 This is partly due to inflation, and partly due to the rupiah currently being valued at close to rp 12,000 to the USD. 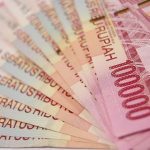 Usually the Rupiah hovers somewhere around rp 9,000 to 1 USD, but things have not been so stable lately. That means that even the prices of some things might be close to double in rupiah, they are maybe only 30% more expensive in terms of USD or AUD. Inflation definitely happens quickly in Indonesia, as a developing country, but prices for most things are still pretty manageable.